Cerebral ischemia, commonly known as a stroke, occurs when there is insufficient blood flow to the brain. It is usually the result of a blood vessel bursting or becoming blocked, for example by a blood clot. The lack of blood means that the brain does not get the oxygen and nutrients it needs to function, resulting in damage to or death of the affected brain tissue. The effects of a stroke depend on the severity and location of the blood deficiency, but symptoms include impaired vision, movement, co-ordination and speech. Stroke is the leading cause of disability in adults, affecting 795,000 Americans every year, and is estimated to cause almost 10% of deaths worldwide. 1, 2 However, clinical treatments for patients suffering a stroke are limited and in most cases the effects cannot be completely reversed. In order to try and improve the treatment of stroke, much research is being conducted to further understand the physiological effects of cerebral ischemia on brain tissue over time. Preclinical models using small animals, such as rats, are commonly used to study the impact of cerebral ischemia and the effectiveness of treatments. 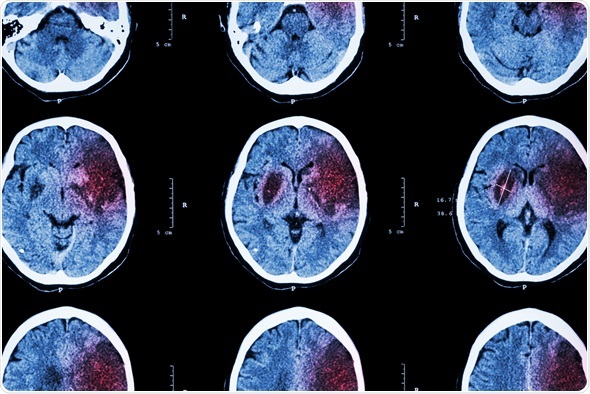 Cerebral ischemia is induced in the rat by blocking the artery supplying blood to the brain and the effects are visualized using 18F-fluorodeoxyglucose (FDG) positron emission tomography (PET). 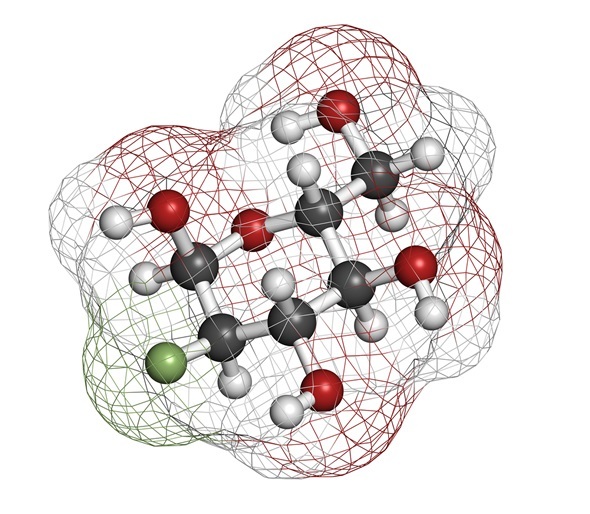 FDG is a glucose analogue, and so accumulates in areas of high metabolic activity, such as the brain. The 18F label can be visualized using PET to give a map of glucose consumption within the brain. FDG PET is non-invasive so does not interfere with the normal functioning of the body and can be repeated in the same rat to assess the effects of stroke over time. However, cerebral ischemia can affect different regions of the brain and in rats the affected area can be very small. This makes manually defining the damaged area and quantifying the level of activity in that area quite a challenge. Consequently, the accuracy of comparisons of activity at different time points will be reduced. To facilitate consistent comparisons of glucose metabolic activity in specific regions of the rat brain over time, a precise atlas of the rat brain has been developed and converted into a digital form.3 This map can then be used to quantify glucose uptake from FDG-PET brain scans of rats. Full body PET scans of the rat were made using a small animal imaging system (Albira; Bruker Corporation before inducing the stroke and at various time points after allowing free blood flow to the brain to recommence. The extent of FDG uptake within the different brain sub-regions was then precisely measured by merging the rat brain atlas with the obtained FDG-PET scans using image analysis software. The results showed that, as would be expected, a significant reduction in glucose uptake by certain areas of the brain occurred in the 24 hours after the stroke was induced. The authors also described how to obtain (non-invasively) accurate 3D images of cerebral ischemia in a living rat brain from FDG-PET scans. These new methodologies provide a powerful tool for obtaining accurate and consistent measurements of glucose uptake by brain tissue so that data can be compared between scans from animal models with different types of induced brain trauma. The 3D visualization opens up the potential for future study of brain reorganization and repair after cerebral ischemia that could facilitate the development of therapies for disabled stroke patients. This is a dramatic illustration of how modern software tools can be used to increase the quantitative information derived from FDG-PET images. Roger, V.L. et al. Heart disease and stroke statistics--2012 update: a report from the American Heart Association. Circulation 2012; 125: e2–e220. Schiffer WK, et al. Serial microPET measures of the metabolic reaction to a microdialysis probe implant. J Neurosci Methods. 2006;155:272–84.